Our research on person re-Identification aims to develop solutions for recognizing persons, captured by one or more cameras, over time. 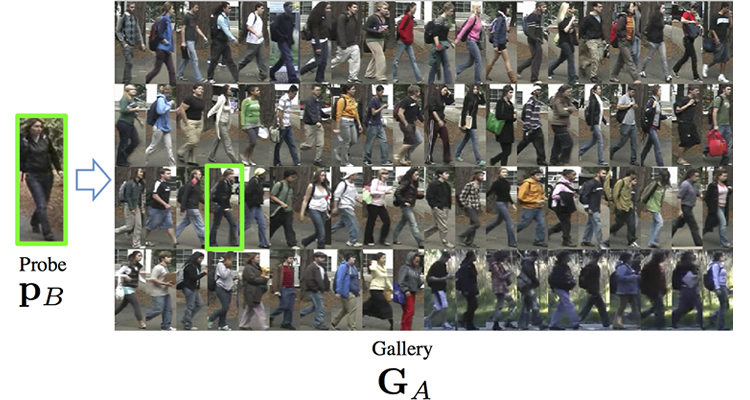 This matching is traditionally cast as a retrieval problem: given one or more images of an unknown target, the re-identification task is to rank all individuals in a gallery of known target images in terms of similarity to the person to be recognized. Person re-identification an essential component of modern, real-world surveillance systems. 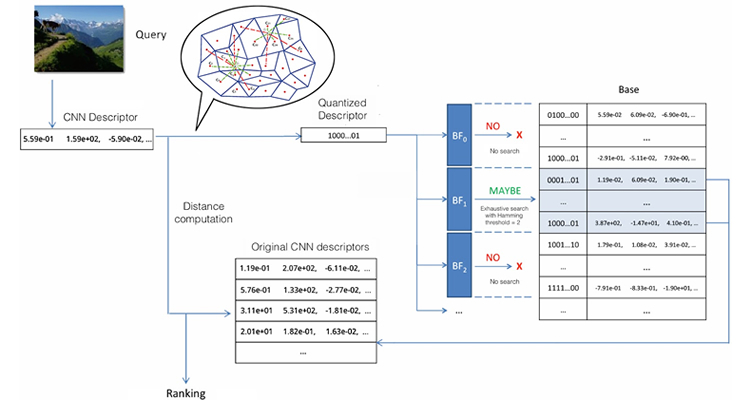 We present a novel system for efficient image retrieval based on a simple and effective hashing approach on CNN features which uses a multiple k-means assignment. An extension has been made using a performing indexing structure based on Bloom filters. Experimental results show that, despite its simplicity, the proposed method obtains a very high performance in retrieval while the proposed indexing technique obtains a 2x speedup. 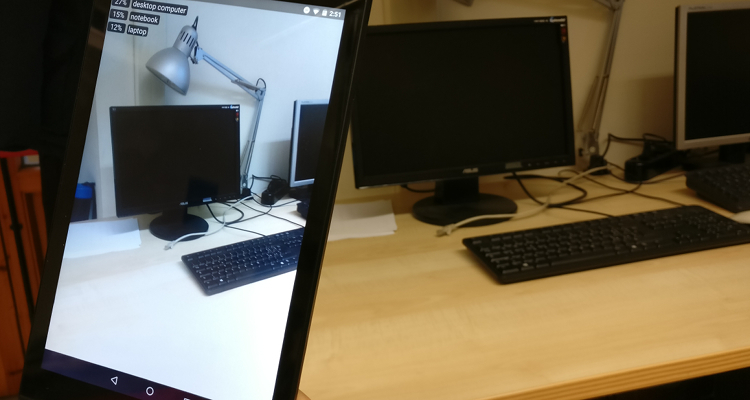 Object detection is one of the most important tasks of computer vision. It is usually performed evaluating locations of an image that are more likely to contain the object of interest. The interplay of detectors and proposal algorithms has not been studied up to now. 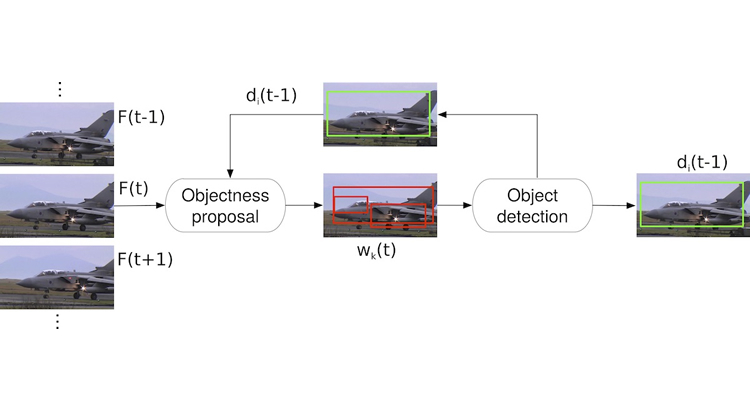 We propose to connect, in a closed-loop, detectors and object proposal generator functions exploiting the ordered and continuous nature of video sequences. We obtain state-of-the-art mAP and a detection time that is lower than Faster R-CNN.